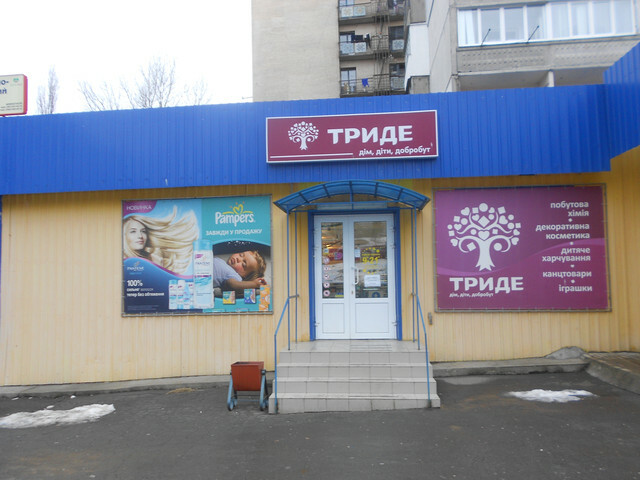 The company “Ukrprom” for many years cooperates with decade of businessmen on the whole Ukraine, which opened for themselves all advantages of infrared heating from reliable manufacturer. 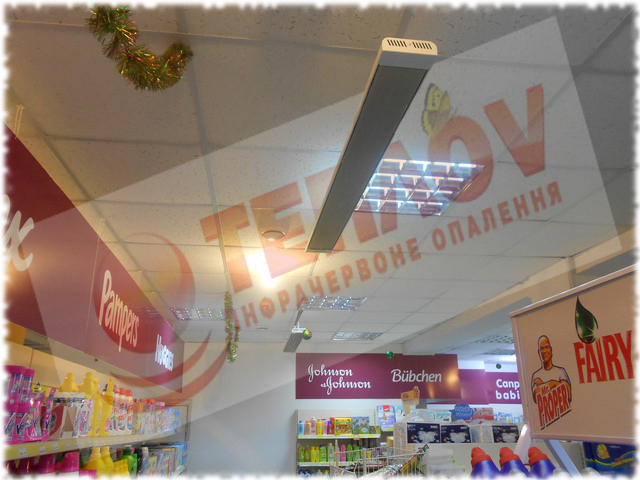 Heaters TM Teplov are best of all can provide heating in premises of any type. The majority of organizations and enterprises, restaurants and trade networks have already installed infrared heaters – modern heating, which as a majority of equipment today is appealed independently lead the process of heating the premise, don’t requiring at this the increased security measures, and that’s why the constant man’s attention. The heating of network stores “Tride”, as other our projects, went by on high level without timeouts and demonstration of unprofessionalism from the side of specialists. 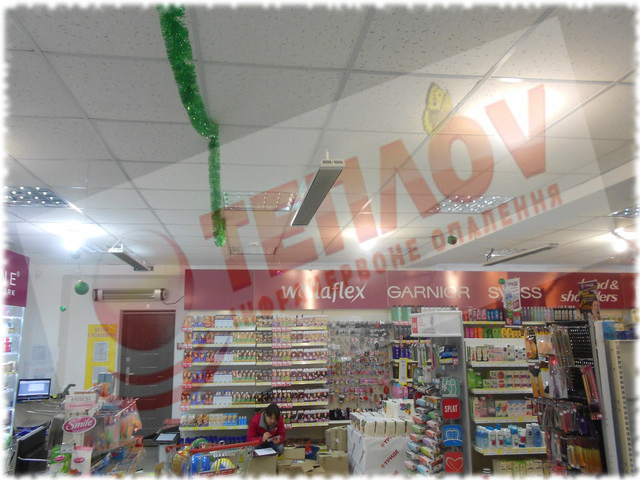 Everything gave the positive result –was installed and connected the system of infrared heating, and in the following it was attuned with a help of programmed regulator of air temperature, which must created at work of IR heaters Teplov B1350. These ceiling heaters were fixed on metal slim cables, which are perfectly keep heater over the premise, doesn’t occupying at this absolutely none place where could situated people. 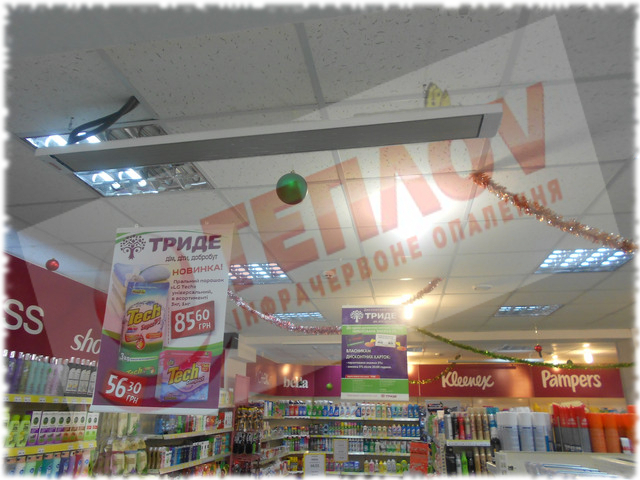 IR heating of network stores of household chemicals “Tride” has as each our project, its “zest”. This time before us was setting a task of creation such heating system, which doesn’t influence on chemical materials, situated in household goods, cosmetics, personal care products, because it can create harm for buyers. 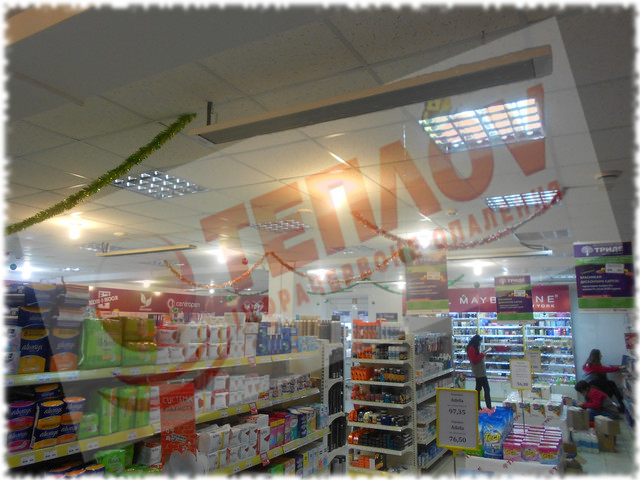 Also heating of commercial premise shouldn’t contribute to chemical steam from the products. In such a way, our specialists installed such number of heaters, for equal heating of the shop and doesn’t influence on offered production.